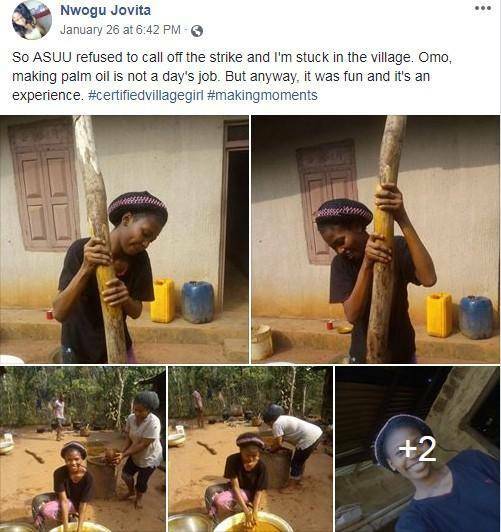 It's been 86 days since the Asuu strike began, some students have utilize the opportunity to learn one or two skills, while others have settled for menial jobs. However it can not be overemphasized that 90% of students are at home just being idle, waiting for the strike to be called off. A Facebook user shared her experience so far in the village. She was able learn how to produce palm oil within this period. Tell us in the comment section what you've been up to within this 86 days.